People around the world apparently do not cease to come up with various lifestyles in accordance with their own personal perspectives, views, and needs. Some of these lifestyles created and implemented are known to be radically opposing to each other, with the rest being considered more or less "in between" these opposite categories, characterized in turn by peculiarities and standards that can be a fit for almost all human inclinations, orientations, and intellects. Of all these lifestyles, minimalism has appeared to the public and has been met by wide approval and a huge interest in the implementation or at least the attempt of it. So far, minimalism has multiple definitions and many elaborate ideas which can be considered to revolve around the same mutual concept of pursuing and committing to simplicity in life in a continuous and consistent manner. The term "minimalism" does actually define itself. You may think of it in simple words as the lifestyle which includes having the "minimal" or "simplest" standards and criteria, associated with accustoming and successfully convincing oneself with such a lifestyle. The other definitions of minimalism chosen to be included this guide are for clarification and enlightenment regarding the subject. Minimalism is about maintaining things of importance in your life. The things that bring balance and alignment. These should be the items that you prioritised and valued the most. 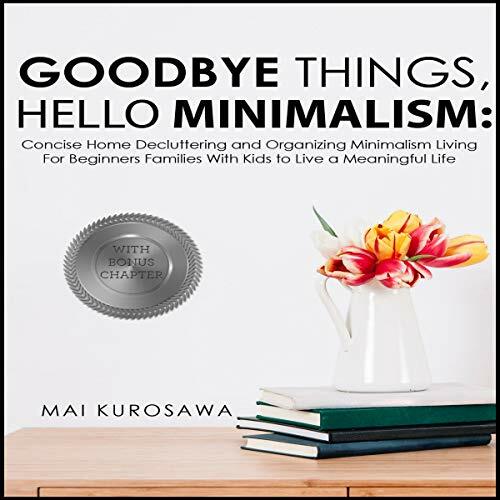 This guide addresses mainly minimalists who have families and kids to reassure and confirm to them that minimalism is compatible within a varied scope of family sizes. This guide hope to dispel the notion that minimalism is impractical and incompatible with families especially larger families. Seemed to repeat the same idea over and over just worded differently. Waste of credit.